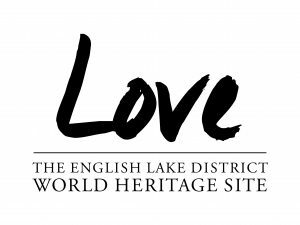 Honister Slate Mine will be celebrating a very special anniversary next month, as it marks 20 years since the revival of England’s last surviving slate mine and the birth of a major tourist attraction for the Lake District. 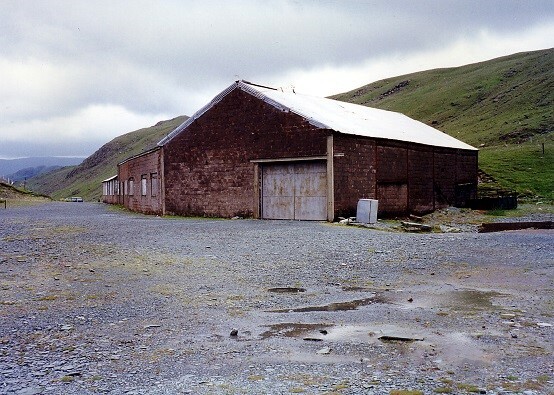 A decade after its original closure in the 1980s, the passion and vision of late businessman Mark Weir and his team saw abandoned buildings, machinery and mine workings come to life once again in late March 1997. As well as restarting slate production, the family also began the first ever mine tours deep inside the mighty Fleetwith Pike at the same time. Since then, the once derelict Honister Slate Mine has gone from strength to strength with the creation of the UK’s first ever Via Ferrata adventure up the mountain, followed by an ‘Extreme’ version which reaches up twice as high as the Shard. 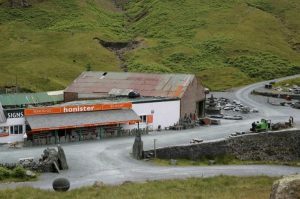 More recently, Honister opened a ‘Climb the Mine’ experience following the route of the original underground mine workings. Meanwhile, slate production at Honister is now at all all-time high. Not only is the mountainside workshop continuing ancient skills and traditions of crafting slate using a hammer and chisel, but it is exporting products like kitchenware, signage and flooring to locations across Europe, the USA and Asia. A string of celebrities have also visited Honister in the past two decades, ranging from the actress Jennifer Love Hewitt to TV presenters including Griff Rhys Jones, Julia Bradbury and Ben Fogle. Other highlights include filming for scenes in Coronation Street and famous sporting stars tackling Honister Pass as part of the Tour of Britain. Current Co-owner Joe Weir says, “It’s taken piles of energy, tenacity and sheer hard graft over the past 20 years to get Honister where it is today. Mining was historically the most important industry in this area and we love the history and heritage of this place; we’re so proud of all the people who have helped to make it such an important part of the community once again.